CherrySue, Doin' the Do: Budget UK Road Trip ~ The Big Pit! 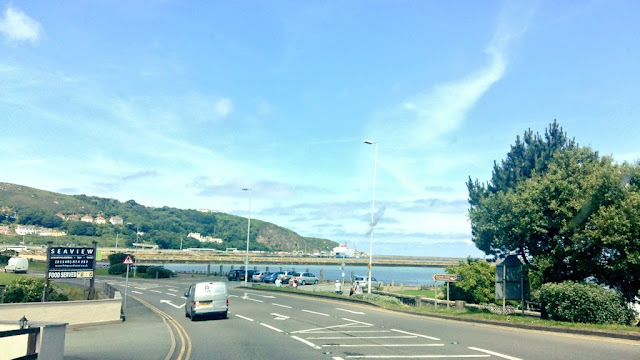 Welcome to the final instalment of our budget UK road trip, over the course of the last few weeks I’ve told you about the cracking deal I got with Stena Line, I paid just €10 return for 5 of us from Rosslare to Fishguard. I also told you about the deal I got with the hire car & our hotels, I even told you all about our day trips to places such as Legoland, Harry Potter Studios, Chelsea F.C., Tower of London, Sky Garden, London Eye and Highclere Castle the real Downton Abbey with all the information you could possibly need to do these trips yourself. We left Highclere Castle and hit the road for another highlight of our trip, a two hour drive to the foot of the Brecon Beacons to visit my big brother BattleDad, his wife BattleMum & their son. We had to cross the Severn Bridge that connects England to Wales, while it’s free to enter England using the bridge there’s a toll to enter Wales and it’s steep at £6.60/€7.88 for a car. The scenery as you drive over the bridge and on into Wales is just stunning. The following morning before we headed to Fishguard we had just enough time for a visit to the Big Pit National Coal Museum. 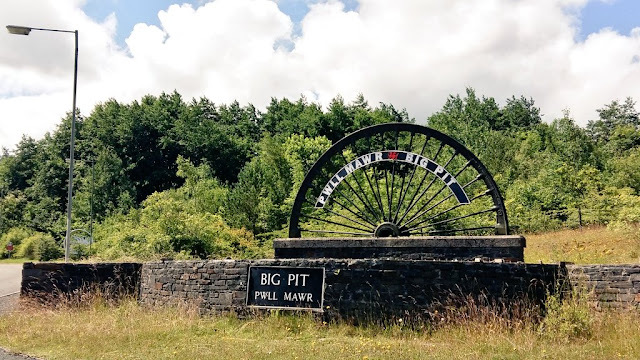 What is The Big Pit? 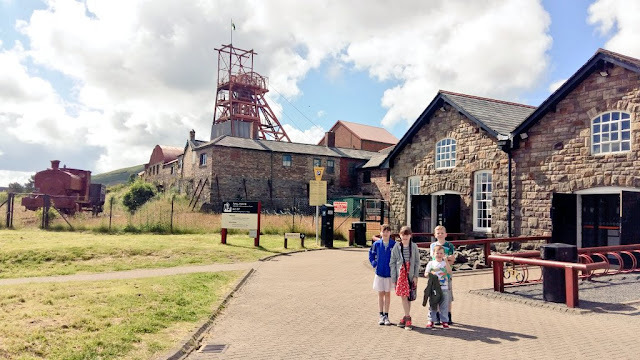 The Big Pit is a coal mine that was operational from 1880-1980, it was officially opened as the National Museum of Wales in 1983 and designated as a UNESCO World Heritage Site in 2000. Where is The Big Pit? 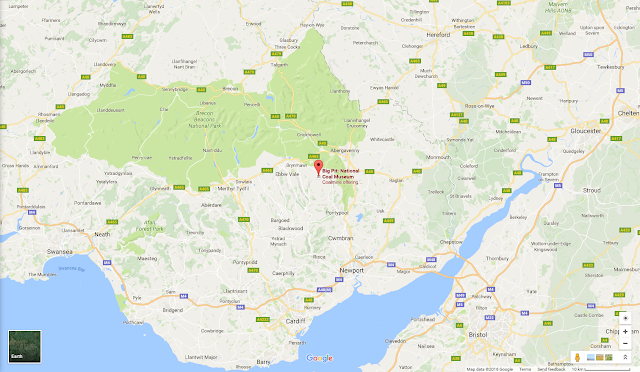 It’s located in Blaenavon South Wales. There’s a plethora of things to do in the locality such as a Heritage Railway, Rhymney Brewery, Blaenavon World Heritage centre, The Blaenavon Cheddar Company, Festival Park Owl Sanctuary and our favourite Blaenavon Ironworks a former industrial site transformed into a museum complete with renovated workers cottages. 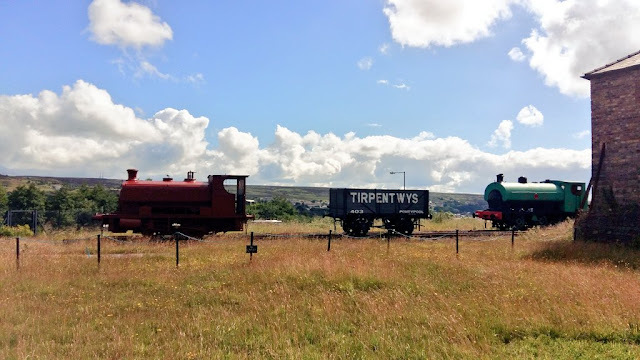 What’s to see/do at the Big Pit? Lots! There are two parts to the museum over ground and underground. Children must be over 1 meter in height to go underground and are measured at reception, if you are visiting with children make sure to ask for your free children’s activity pack at reception. While the museum is open daily from 9.30am-5pm underground excursions are operational from 10am-3.30pm and only weekends in January. Firstly you are kitted out with your own headlamp complete with a battery pack that’s attached to a belt and a hard hat. Both children and adults will need to carry this equipment weighing 5kg. You must leave all electrical or incendiary substances above ground such as your mobile phone, camera, key fob, cigarettes, lighters etc. Then you enter the lift with your group for the 300 meter descent to a real coal mine to learn about the working day of the coal miners who worked there. All of the guides are ex-miners so they have some fantastic stories to tell, they had us all in stitches with their funny anecdotes. You should bring a coat for the 50 minute underground guided tour as it gets quite cold you’ll also need sensible footwear. Unfortunately on this visit we didn’t have time to go underground but we did on our last trip and we loved every minute. What’s to do over ground? There’s a state of the art multimedia tour of a mine above ground. You’re guided around by a virtual miner that jumps from screen to screen as you move around the museum. Its highly educational and quite entertaining too, even my 4 year old loved it. 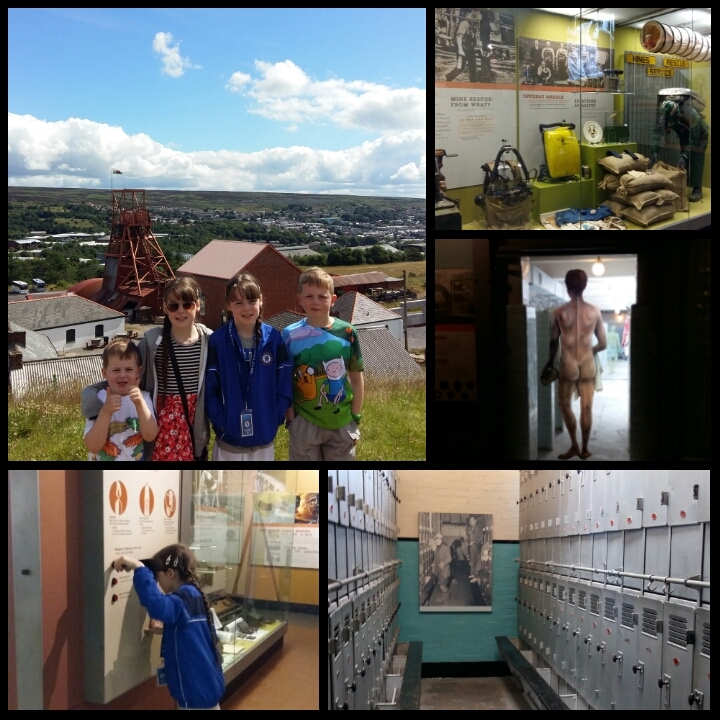 You can explore the mining galleries, historical buildings, Medical centre and the pithead baths at your own leisure. In the medical centre as you enter the room audio is triggered by a motion sensor, the voice of Mrs Phyllis Jones a former colliery nurse tells stories of her job as a nurse in a working mine. In the pithead baths we learned about how the miners had a clean and a dirty locker at opposite ends of the block. Miners would take off their work clothes and put them into their dirty locker where hot air was blown through to dry their clothes for the next day while they took a shower and exited at the opposite end to dress in their clean clothes, simple but genius. Is there somewhere to eat/drink? The original miner’s canteen is open for business, a large selection of hot and cold meals and drinks are available including a children’s menu. There are lots of high chairs available, there’s even colouring sheets to keep your little artists busy while you eat. If you just want a snack there are vending machines located in the hall outside the canteen. The canteen has a large indoor seating area and there are picnic benches outside with spectacular views from their elevated vantage point. There’s also a coffee shop open during the summer season. This is the best bit it’s completely free as is Blaenavon Ironworks just up the road. As you exit there’s a great gift shop with very keen prices where my sheep mad 4 year old bought himself a Mammy and baby sheep! They didn’t have any Christmas ornaments so I bought a miner key ring made of coal so I can detach the metal to replace with ribbon to hang on our travel Christmas tree. 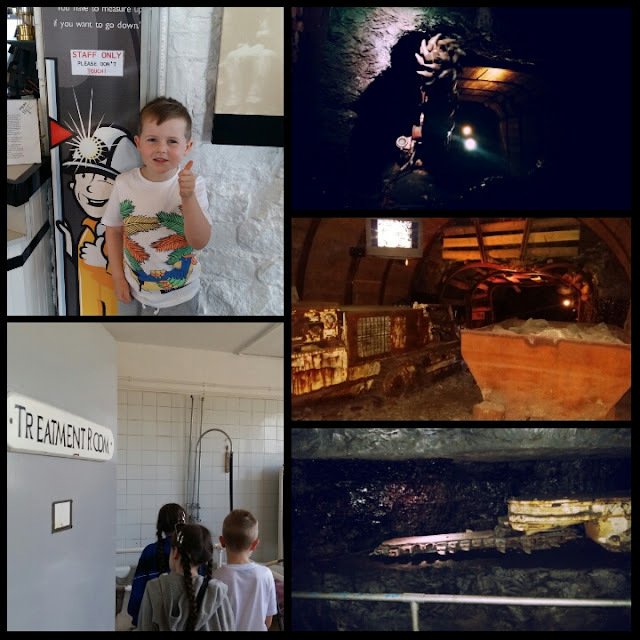 We had a fantastic time, even though we only had an hour and a half we got to do everything bar the underground tour. The ground is uneven and the hills are quite steep but the last time we visited I had no major problems pushing a buggy around. I particularly liked the fact that the underground tour is accessible to wheelchair users, the only stipulation is that you must book in advance. I didn’t factor for so much traffic on our return journey to Fishguard resulting in us being the last to check in for our ferry home. What should have been a two hour drive took well over three hours. The lady at Stena Line was fantastic she called the guy with the luggage cart and told him to hold on as we had a lot of luggage we wanted stowed away for the journey. Hertz were also brilliant; a quick panicked call from me had them come collect the car from me at the port within 5 minutes for a token fee of £5. Thanks for the post about this Elevator Pit Cleaning topic. Im a big fan of the blog, i've even put a little bookmark right on the tool bar of my Firefox you'll be happy to find out!